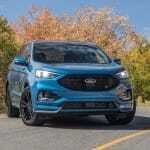 PARK CITY, UTAH – The Edge is a more style-oriented model that’s aimed at young families as well as empty nesters who want the convenience of all-wheel-drive and the height of a crossover. 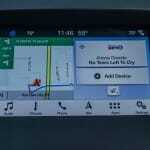 Like the Nissan Murano (reviewed here), it has a specific demographic. This is our first go in the mid-cycle refresh of the popular premium crossover, and with it Ford has also introduced a performance-oriented version. We traveled to Park City, Utah to sample the 2019 Ford Edge ST and the Edge Titanium. 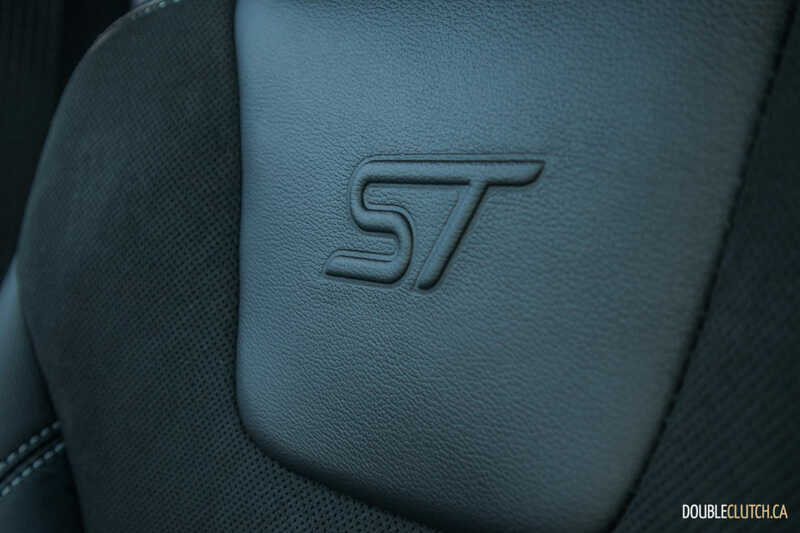 First things first – the Edge ST is more than just an appearance package. 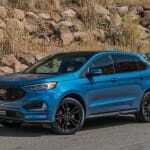 It builds on the previous Edge Sport that it replaces, and packs a 2.7L twin-turbocharged EcoBoost motor that’s good for 335 horsepower at 5,500RPM and 380 lb-ft. of torque at a low 3,000RPM. 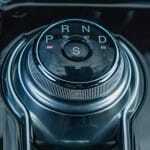 The old six-speed automatic has finallybeen replaced by an eight-speed transmission. 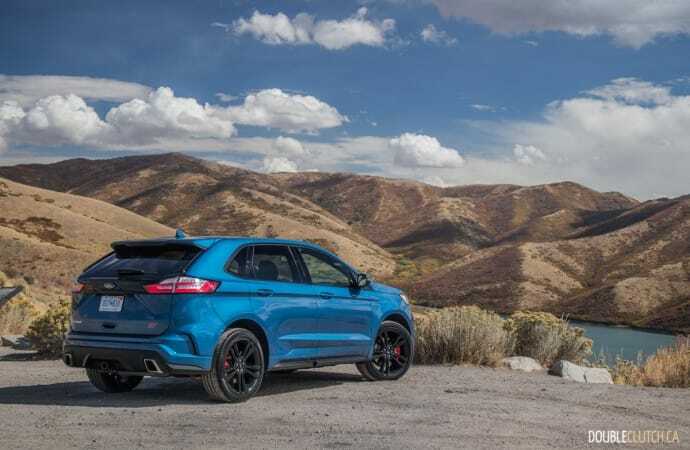 On the mountainous roads of Utah, the Edge ST came alive with excellent engine response and more importantly, a very composed ride that’s on the right side of firm. The Edge ST has a tweaked suspension setup for better balance, as well as a Sport mode that works with the all-wheel-drive system (with a water cooled power transfer unit) to have optimal torque distribution between the front and rear. There is an active sound enhancer on board that beefs up the way the Edge sounds, and while it’s very obviously synthetic noise, it sounds pretty good on full throttle. 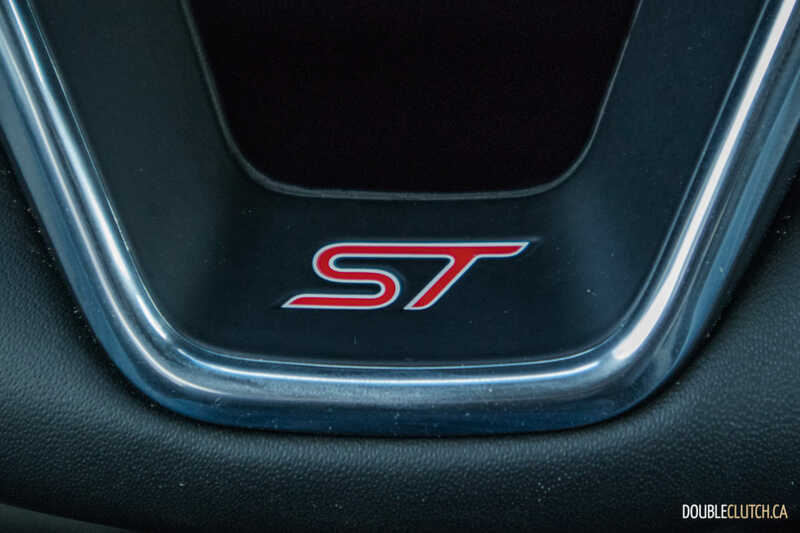 The ST feels quick and while it’s no Grand Cherokee SRT (reviewed here), it’ll scratch the itch for performance that many crossover drivers crave. 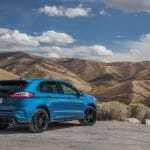 Ford claims a run to 100km/h in less than 6 seconds, and we see no reason to doubt this. As we touched on before, one of the most impressive traits of this new Edge is the ride quality and overall composed nature of the chassis. 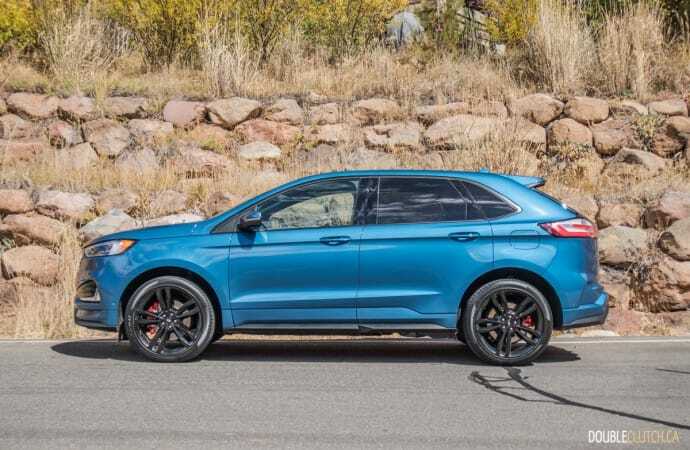 Flinging it into corners late will induce some understeer as expected, but body roll is minimal and passengers stay planted in the heavily bolstered seats. 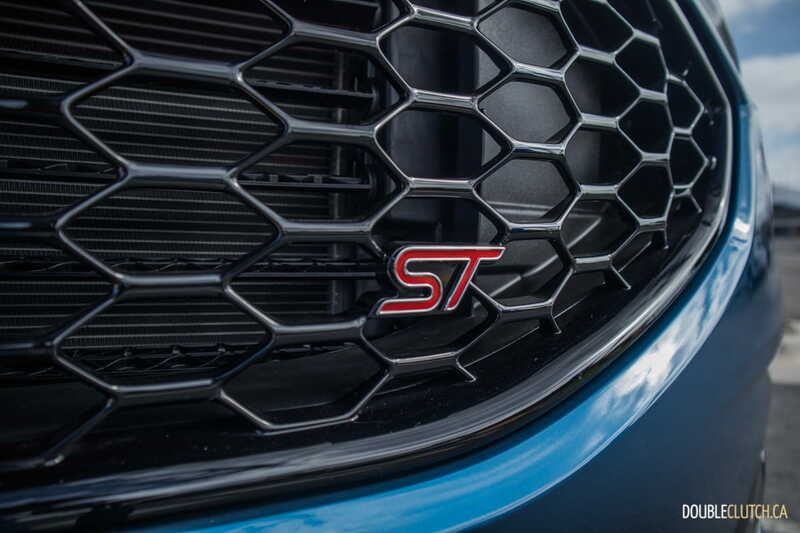 The ST sport suspension also absorbs road imperfections without issue – our route consisted of a significant number of potholes, all of which were soaked up by the chassis. 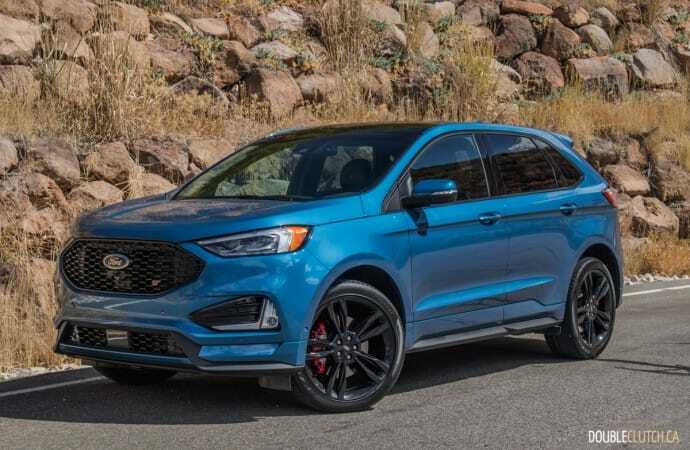 Handling is remarkably precise for a crossover of any size, and the Edge ST’s steering is notably heavier than the regular Titanium. While the Titanium is responsive enough, the ST cranks that up a notch with a quicker and more weighted personality, though this doesn’t translate to actual feel. 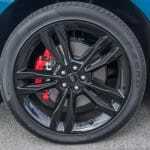 The Fiesta ST, for instance, goes exactly where pointed, an advantage of its small size and go-kart-like dynamics. 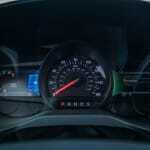 At highway speeds, there is no dead zone on-center, though it will require periodic overcorrection. 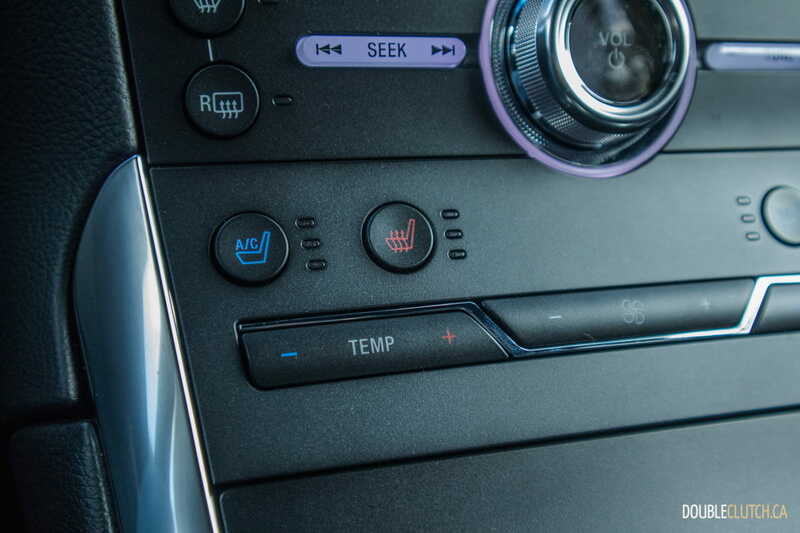 The Edge’s Electronic Stability Control (ESC) has four AdvanceTrac modes, with varying degrees of intervention. 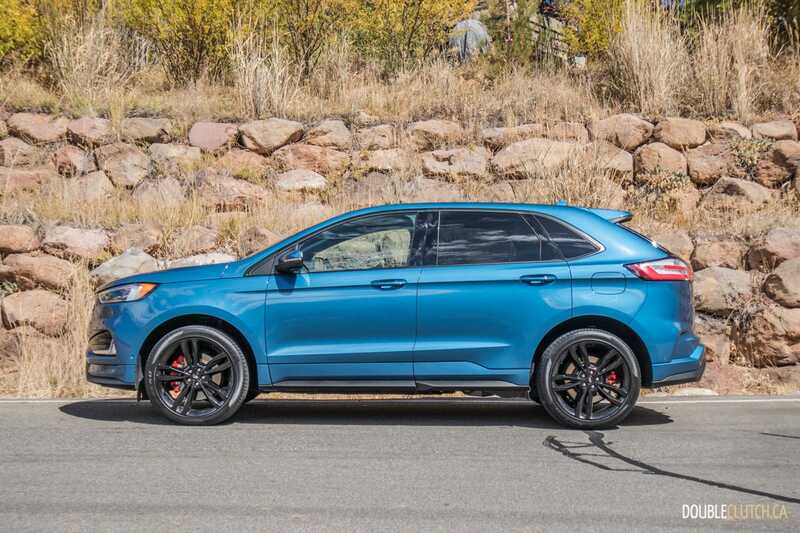 For those who really want to be spirited or dare we say, venture to a local autocross with their punchy dad-mobile, Ford does allow the systems to be fully disabled. 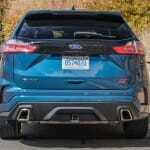 American buyers of the Edge ST get an optional performance brake package, which is not offered in Canada. We tested models with this package on board, and even in that case the ST felt like it lacked braking performance on hilly roads. 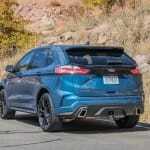 From an appearance standpoint, the Edge ST very obviously looks related to its Focus ST (reviewed here) sibling. 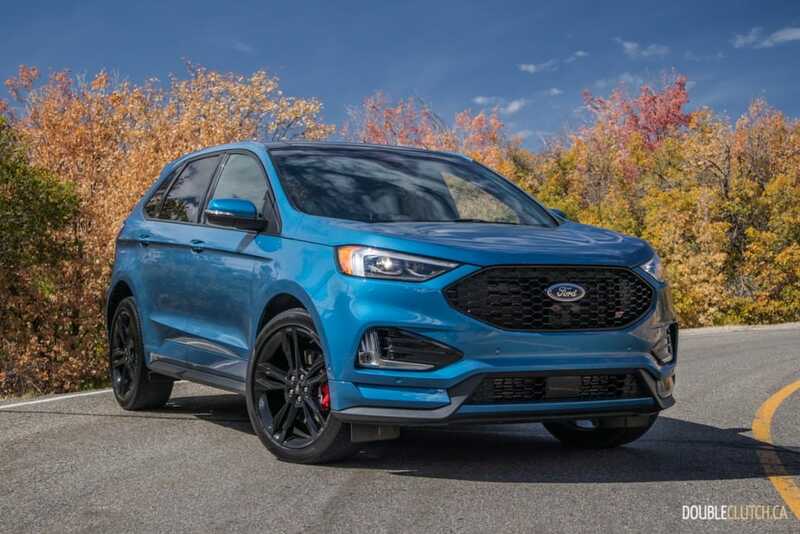 The front end is completely reworked, with a black mesh grille that helps significantly with cooling for the EcoBoost. 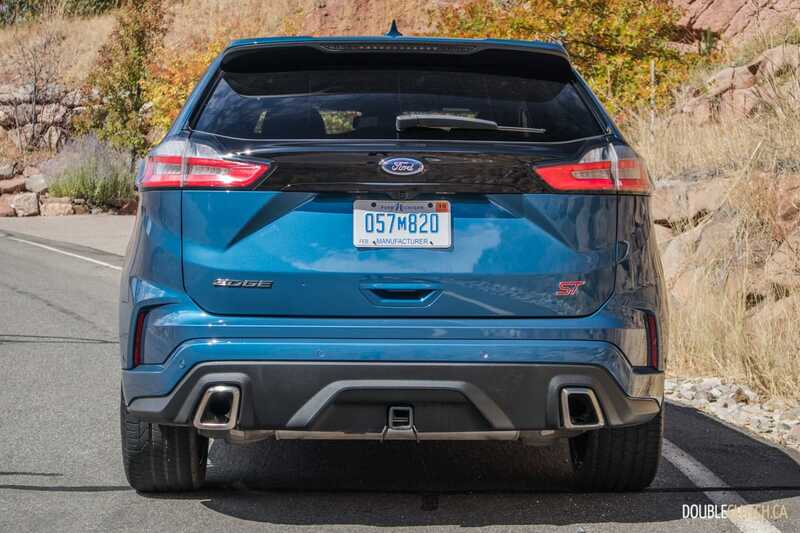 The side skirts are also functional for aerodynamics, but there is an odd indent between the front and rear doors that continued to confuse us into thinking the door was left open. 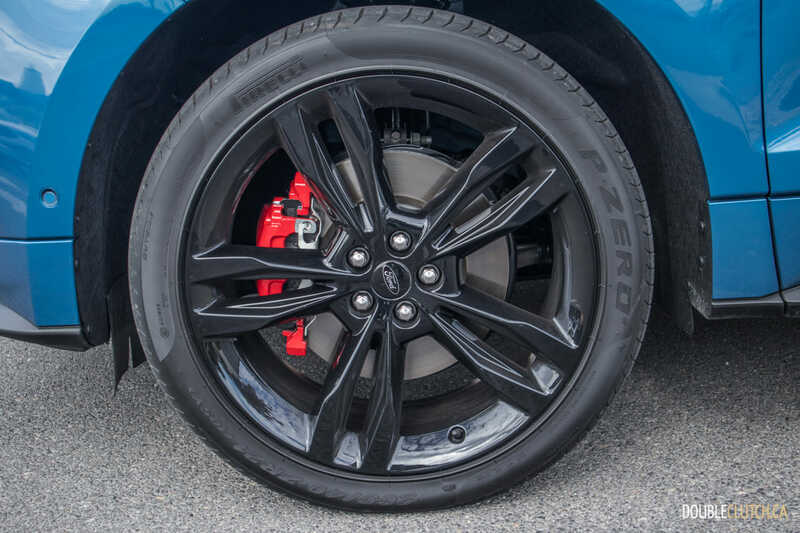 Both 20” and 21” wheels are available, and the design is unique to the ST model. 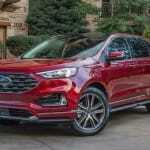 The regular Edge Titanium gets an updated 2.0L EcoBoost turbocharged four-cylinder engine. Output is 250 horsepower at 5,500RPM and 275 lb-ft. of torque at 3,000RPM. 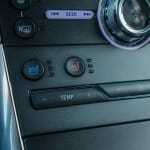 It too gets an eight-speed automatic and is impeccably smooth in operation. 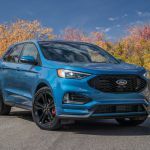 It’s not fast by any means, but the vast majority of Edge buyers will appreciate the updates to overall refinement and the premium-grade interior. 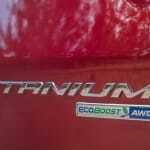 The Titanium also gets standard start/stop technology as well as an all-wheel-drive disconnect, both of which that contribute to the vastly improved fuel economy. Edge Titanium 2.0L models with all-wheel-drive are rated at 11.4L/100km city, 8.3L/100km highway, and a combined 10.0L/100km. This combined number drops to 9.6L/100km for FWD examples (a very low-volume seller). 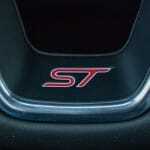 The ST is estimated at 12.6L/100km city and 9.2L/100km highway, for a combined 11.0L/100km. 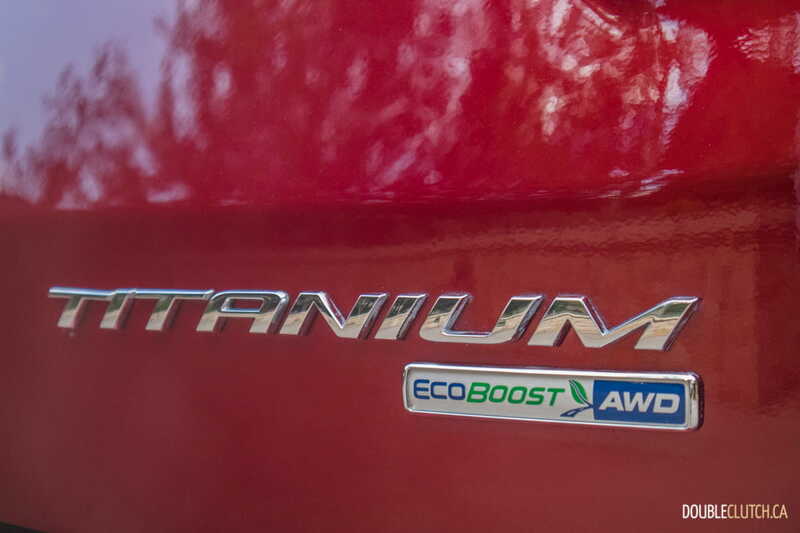 Titanium models can accept regular fuel without issue, but the ST will only achieve its rated power numbers on premium-grade. 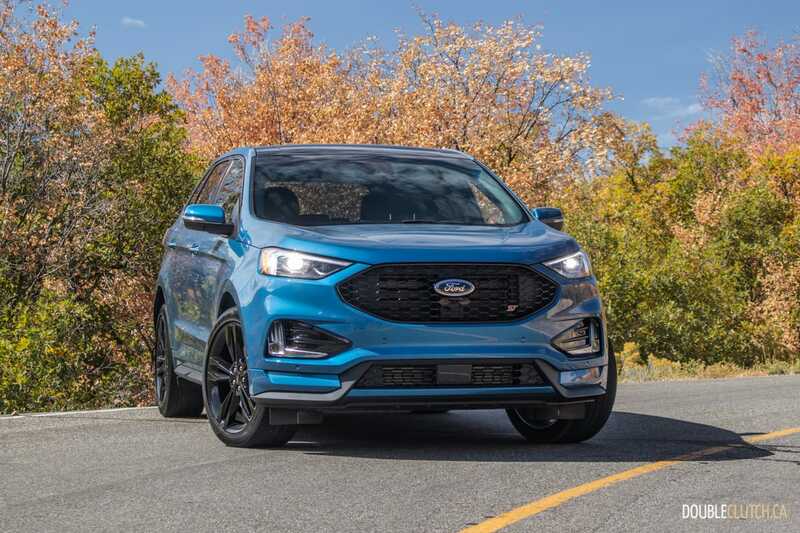 Aside from the new ST model, Ford is quite excited to share with us that the 2019 Edge is the first crossover/SUV in their lineup to offer the full Ford Co-Pilot360 active safety suite. Stuff like forward collision warning, Dynamic Brake Support, lane departure warning, blind spot information, and cross-traffic alert all comes standard. 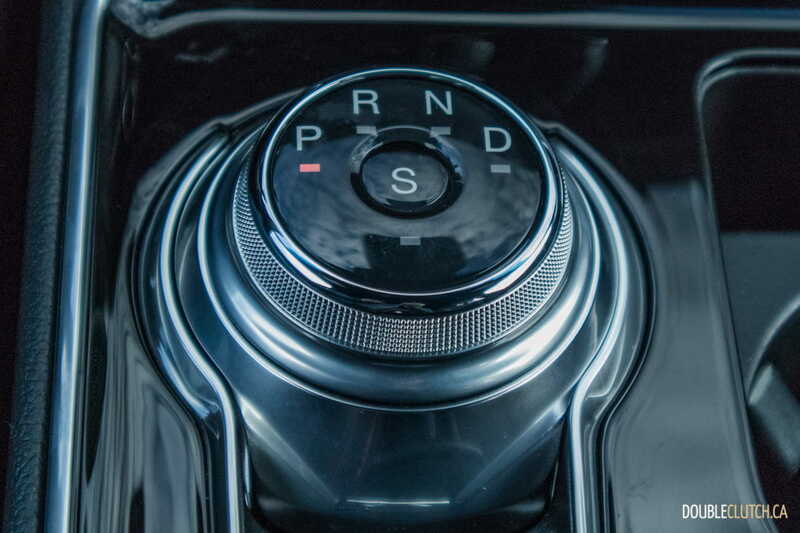 Other available tech includes Evasive Steering Assist, Lane Centering, adaptive cruise control, and post-collision braking. 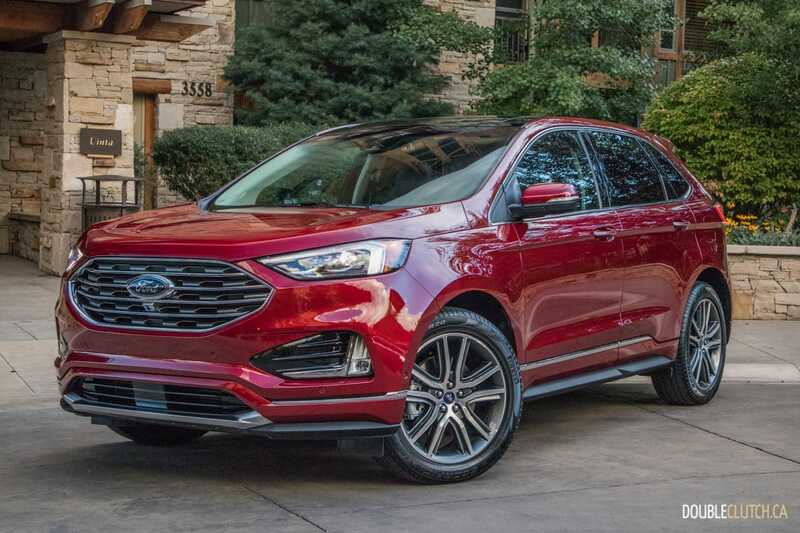 All of these features are increasingly common in the crossover market, and some of the new tech will help the Edge stay a bit ahead of the curve. 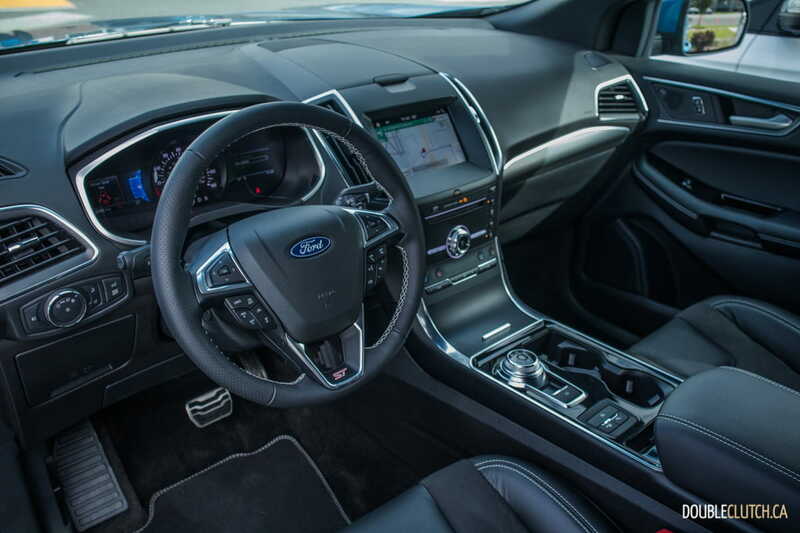 The interior of the new Edge is a great place to be, but not a notable upgrade over the model it replaces. This is expected for a refresh, but Ford has added updates like a 12-speaker Bang & Olufsen sound system, Alexa and Waze compatibility through the SYNC 3 infotainment system, and a new center console with the corporate rotary dial shifter. 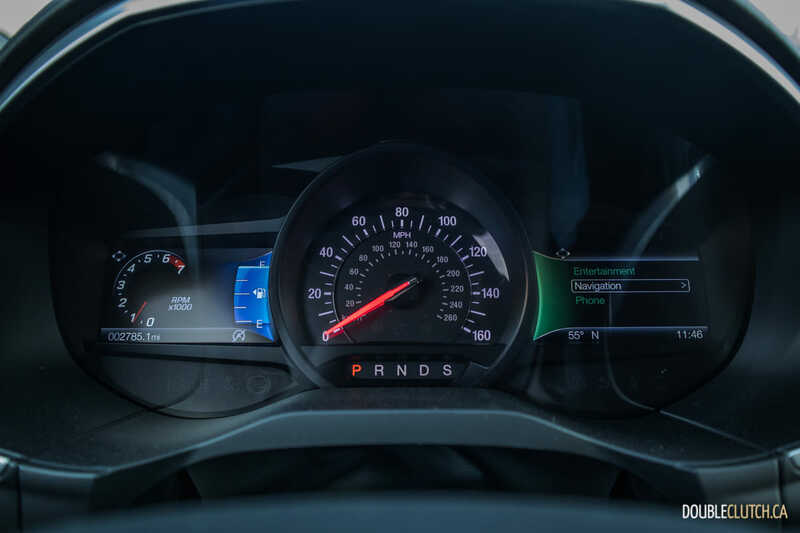 The digital gauge cluster is one of the easier ones to use in the business, but the shifter will take some getting used to for most. 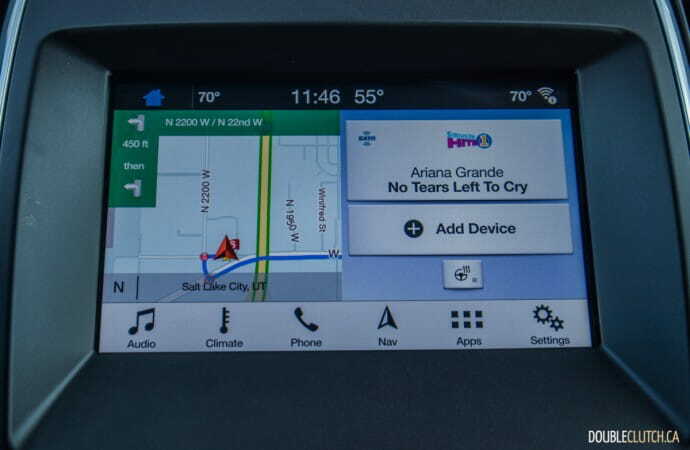 SYNC3 remains one of our favourite infotainment setups out there, and Apple CarPlay/Android Auto connectivity is on board as well. 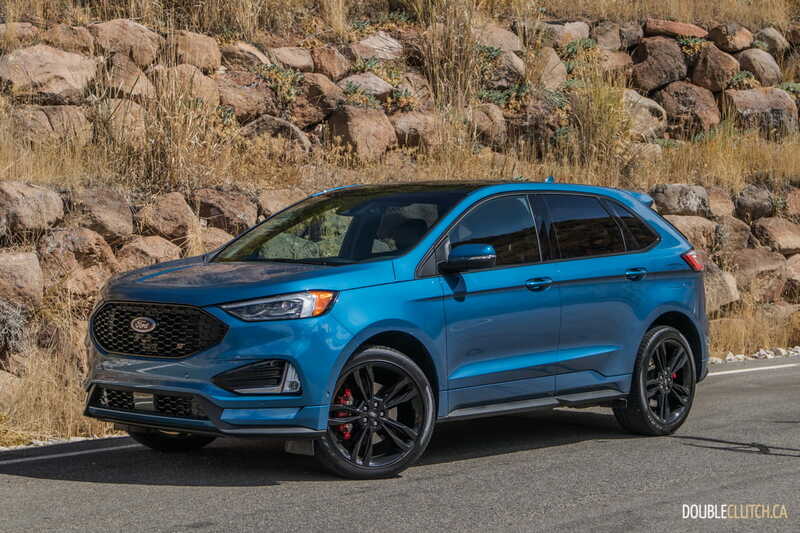 Pricing for the 2019 Edge starts at $35,999 for the base SE AWD, and $43,399 for the Titanium AWD. 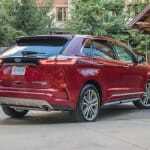 The ST starts at $49,099, with all models having a destination charge of $1,790. 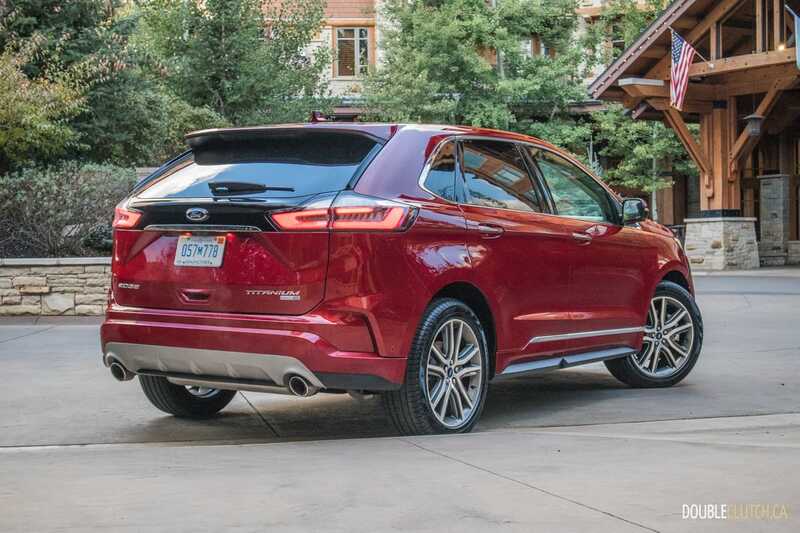 The sole front-drive model in the lineup is the $37,999 SEL FWD. 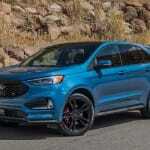 As in typical Ford fashion, all of these trim levels have a plethora of option packages and personalization available. 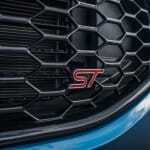 We expect the ST with all available options to top out just over $60,000. 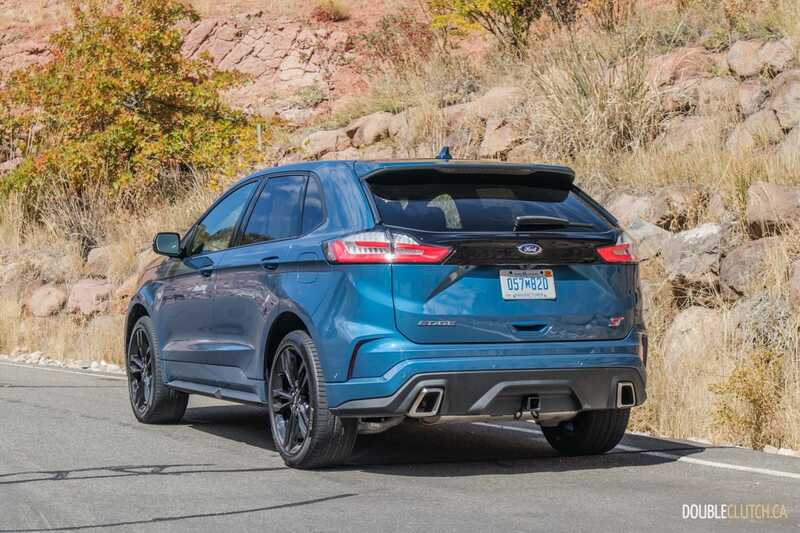 As a whole, the 2019 Ford Edge is a compelling choice, and easily demolishes aging rivals like the Murano. 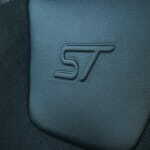 The ST model sits in a segment on its own, with no other rivals offering the performance it does in the same class. 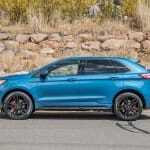 Empty nesters looking for a vehicle like this should consider any trim level of the new Edge a no-brainer, as it really does make a great case for itself.